Pursuit Magazine Holiday Gifts for Private Investigators: Enter to Win! + Detective-Themed Holiday Gifts: Win a “Flame Noir” Candle! Detective-Themed Holiday Gifts: Win a “Flame Noir” Candle! Thanks to our industry’s rich literary history, private investigators often find themselves having to distill fact from fiction when outsiders ask what they do for a living. With only 34,900 private investigator jobs in the U.S. (according to 2014 Bureau of Labor Statistics data), it’s not surprising that the legion of fictional characters and plot lines supersede the realities of what, in actuality, is a highly-regulated, tedious and often mundane daily grind. Does this render deerstalker hats and calabash pipes obsolete, outside of a BBC special Sherlock throwback reboot? Depends on whether you work for a firm that swaps holiday gifts. If so, we’ve performed a little recon on your behalf and have tracked down several excellent spy-related gifts to recommend. 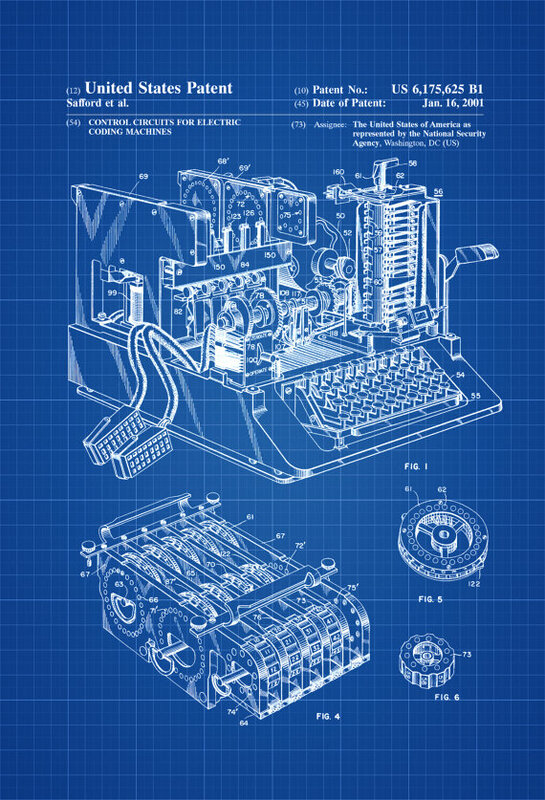 Although it wasn’t patented until 2001, the Enigma machine dates back to the early 1920s. It was invented by Stafford et al. for the National Security Agency (NSA) and called “Control Circuit for Electric Coding Machines.” Prints are available in a wide range of sizes and finishes. Calendars for the new year always make great gifts. 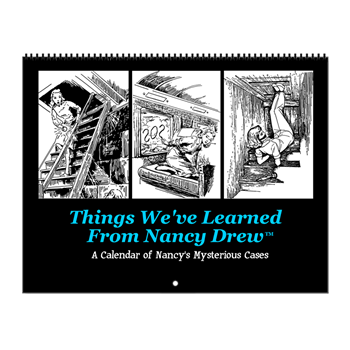 We particularly love the Nancy Drew wall calendars, available through Café Press. They were created by Jennifer Fisher, who is currently writing a biography of Mildred Wirt Benson, the original Carolyn Keene. 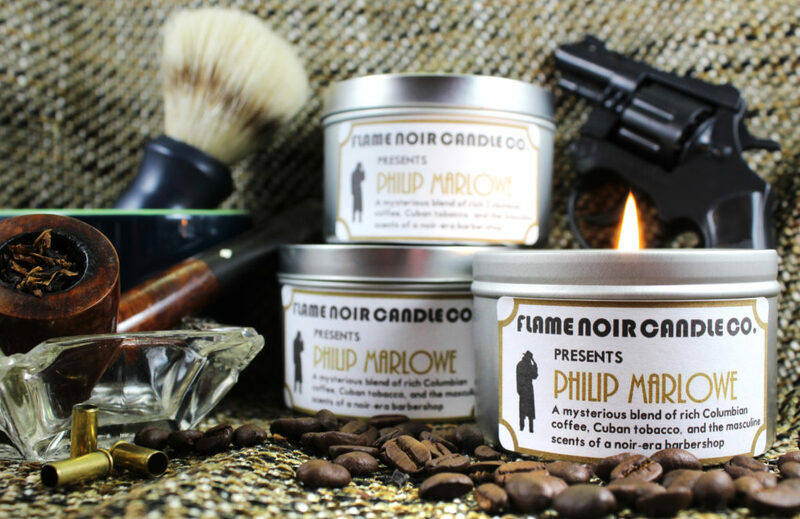 Flame Noir founder, Jennifer Taylor, puts Hercule Poirot and Sherlock Holmes among her favorite detectives but feels that none compare to Philip Marlowe, whom, of course, one of the choice candles is named for. Want to try and win a noir flame of your very own? Check out the Flame Noir shop, then tweet us which literary detective lights your inner flame-o. Whoever tweets us the most intriguing reason for why your favorite is the best fictional gumshoe wins the prize. We’ll alert the winner on Friday, Dec. 9, at at noon EST. Susanna Speier is a blogger for Ross Investigators of Denver, Colorado, which provides investigation services for attorneys and citizens and conducts workplace investigations for businesses. Follow them on Twitter and Facebook. Speier is also a freelancer for hire and can be reached through Linkedin.